Glasco Heating and Air Conditioning has been serving Connecticut residents as a team for over 20 years. Among our array of services, one of our areas of expertise is the conversion of heating and air conditioning systems to new, more energy-efficient options. In particular, the switch from oil to gas heating is gaining popularity, as those who still depend on oil are paying more money for less effective heat circulation in their homes. Gas is a less expensive, more environmentally-friendly source of energy than oil. While oil is a very costly foreign import, gas is domestically produced, mostly in North America. With fewer emissions and more efficient heating, it is no wonder that less and less people are using oil in favor of gas as their primary energy source for the home. The transition from oil to gas is easy when your neighborhood has an underground gas line. Unlike oil, gas is pumped into your home through underground piping. 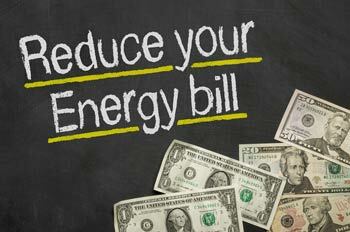 Not only is the work done for you, but the equipment to run a gas furnace costs much less in comparison to oil. Another benefit of converting from oil to gas heating is that you can change all of your other appliances to gas as well. The more that you replace, the more money you are likely to save, as oil and electricity prices continue to soar in comparison to the price of gas. The knowledgeable technicians at Glasco HVAC have the experience necessary to remove your old heating source and replace it with an expertly installed gas furnace. With Glasco, every job is done right to ensure that our customers’ needs are always met. If you live in Connecticut and are thinking of making the switch from oil to gas powered heating, contact Glasco HVAC today and we promise that you will be glad you did. If you are a residential customer of Eversource or The United Illuminating Company (UI), you may be eligible for a low-interest loan to purchase and install an energy efficient heating system. 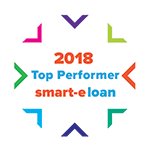 Learn more at smart-e loan Energize CT.